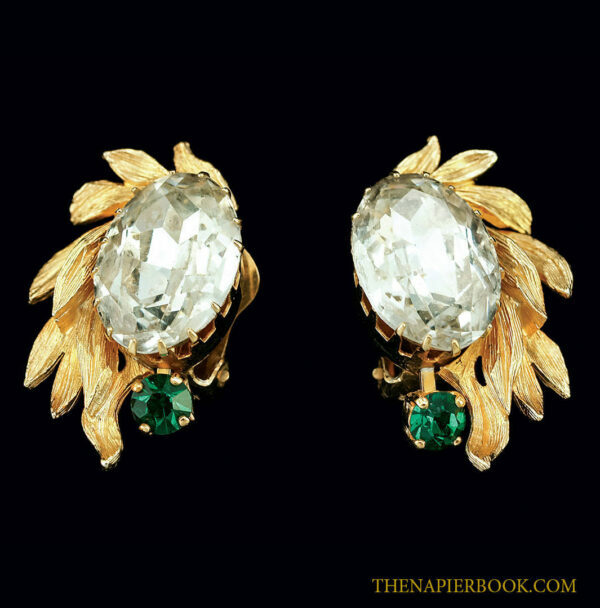 Beautifully carved Napier rhinestone earrings accented with large oval crystal rhinestone suspending a chaton-cut tourmaline green (emerald) stone. Carved petal details flank outer sides of earrings. Clipback mechanism. 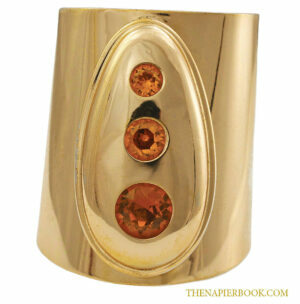 This was the quality of jewelry that was part of the Napier Boutique line. Tiny bit of darkening in oval rhinestone.